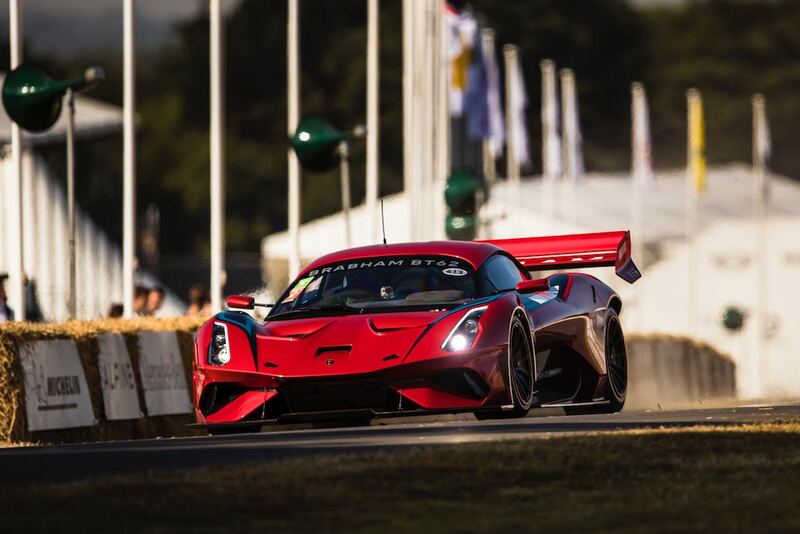 The Goodwood Festival of Speed 2018 was held July 12-15 at Goodwood House and the 9-turn, 1.16-mile Goodwood hill climb in West Sussex, England. Staged since 1993 on the same stretch of the March family’s driveway, this year’s event celebrated the 25th anniversary of the Festival of Speed with an impressive lineup of past legends and future stars. 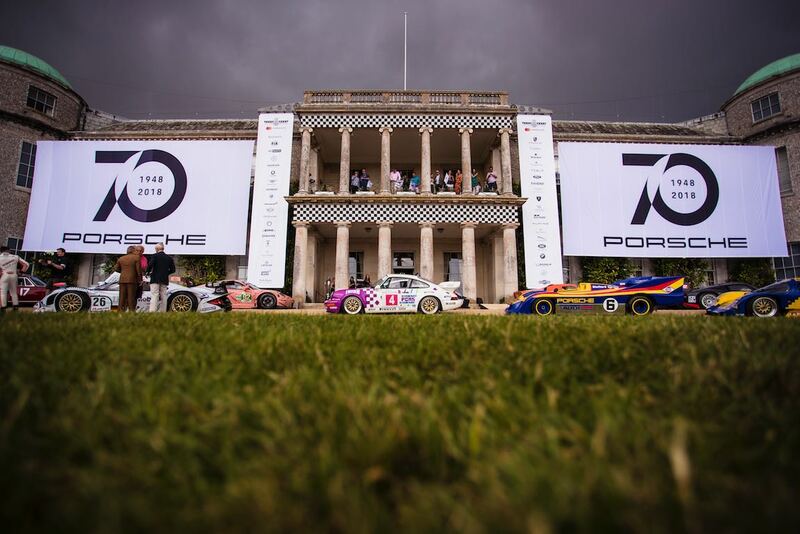 Porsche celebrated its 70th anniversary at the 2018 Goodwood Festival of Speed presented by Mastercard. The Central Feature paid homage to this landmark achievement as the centrepiece of the event. 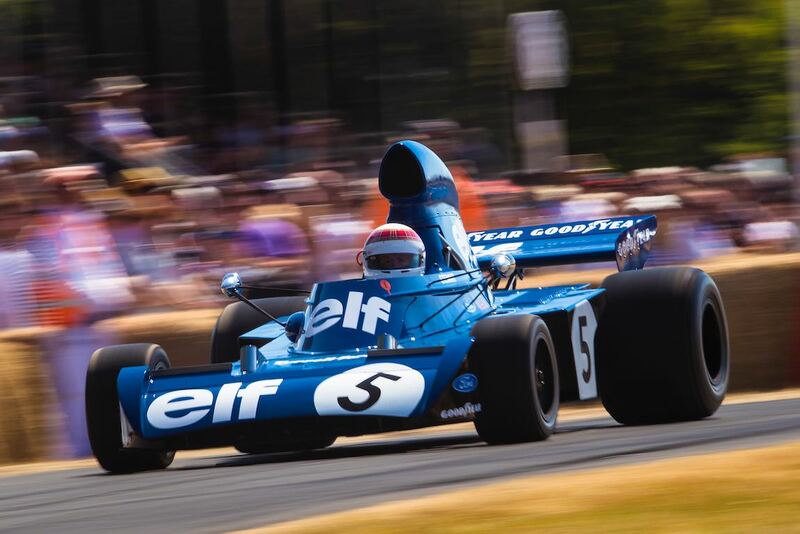 This year’s Festival also featured 70 years of Jaguar’s XK, 60 years of British racing car constructor Lola and ‘The Cosworth Years’ of Formula 1 with a raft of legendary Grand Prix cars powered by this engine, plus several major rivals. Standouts included the Lotus 49B, which kickstarted the DFV hegemony, plus the Championship-winning Matra MS80 which was steered up the Hill by three-time drivers’ title holder, Sir Jackie Stewart. The racing knight was also out in the Tyrrell 003 owned by his son, former F3000 driver Paul Stewart. Another star being reunited with an old flame in this class was Emerson Fittipaldi in a McLaren M23. The Brazilian superstar shared the car with former IndyCar ace, Gil de Ferran. Ex-GP driver and World Sports-Prototype Champion Martin Brundle, meanwhile, was out in the Collier Automotive Museum’s sublime Eagle-Weslake aboard which Dan Gurney won the 1967 Belgian GP. Ferrari fans were also well served with legendary single-seaters including the ex-Niki Lauda 312 B3. 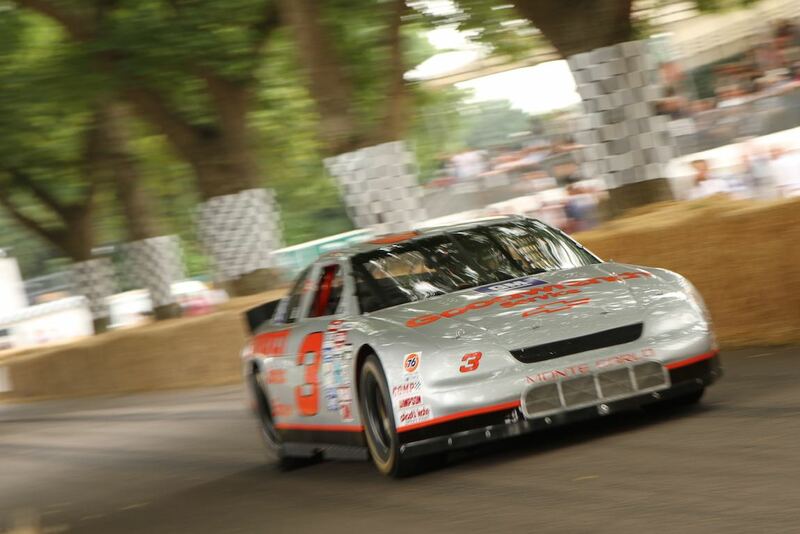 Some of the fastest cars ever to scorch the asphalt stormed the Goodwood Hillclimb during the Michelin Supercar Run. Blue chip brand Ferrari made its presence felt by fielding limited series hypercars such as the FXX K Evo and LaFerrari Aperta, while McLaren wowed the crowds with the new Senna edition. 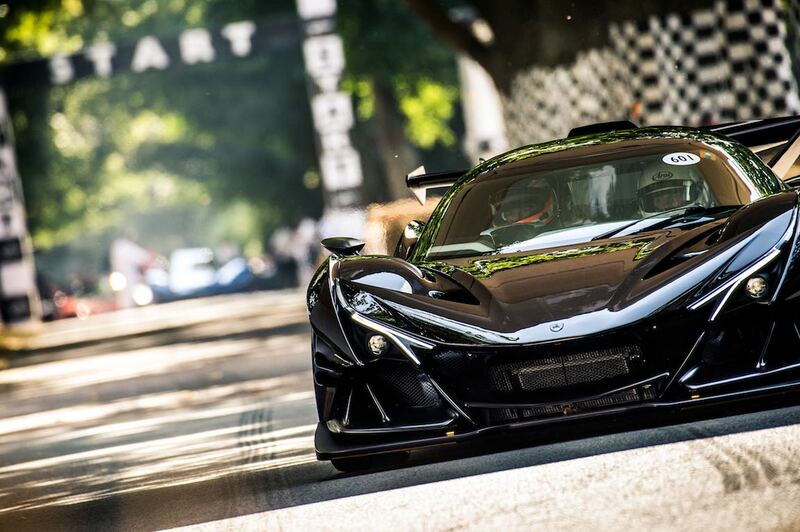 Boutique brands were also using the event to showcase their wares, with the likes of the Apollo Intense Emozione, Nio EP9 and W Motors Fenyr Supersport performing in front of an appreciative Festival audience for the first time. 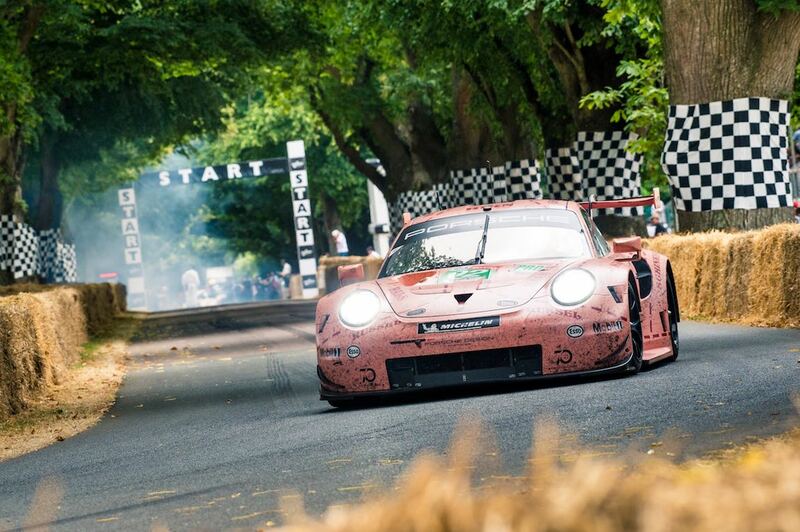 Romain Dumas brought the curtain down on the 2018 Goodwood Festival of Speed presented by Mastercard. The Frenchman emerged victorious following a thrilling Top Ten Shootout, and mustered the third fastest ascent of the Hill in the Festival’s 25-year history. The former Le Mans winner managed a time of 43.86sec aboard the four-wheel drive Volkswagen I.D R Pikes Peak hillclimber, marking the first time an electric car has claimed the prize. However, his wasn’t the only car without an internal combustion engine to star. Veteran GT driver Peter Dumbreck guided the electric, all-wheel drive NIO EP9 hypercar to a time of 44.32sec, despite putting two wheels on the grass. The Scot was travelling at 118mph before he arrived at Molecomb Corner! Third place in the final tally, and first driver home using a car home using piston power, was Jorg Weidinger aboard Klaus Wohlfarth’s Judd V8-engined BMW E36. The screaming coupe crossed the timing beam after just 46.43sec. Not as fast, but impressing greatly, was Mike Skinner in his V8 Toyota NASCAR pick-up. The American blasted across the line in 48.25sec, his speed at the finish being 140.3mph. 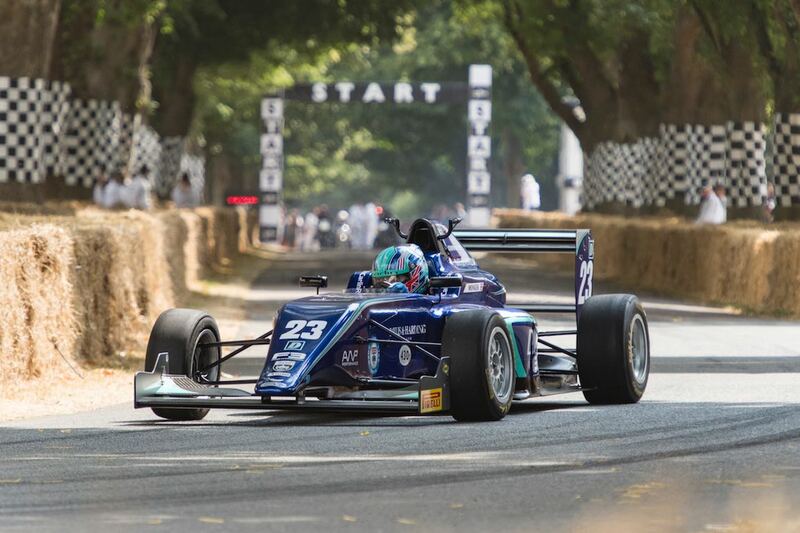 British teenage sensation, Billy Monger, defied his disabilities to record a time of 48.31 in his two-litre Carlin F3 car. It was a remarkable showing for the Festival debutante, just a year on from suffering horrific injuries in a racing accident which resulted in him losing his legs. 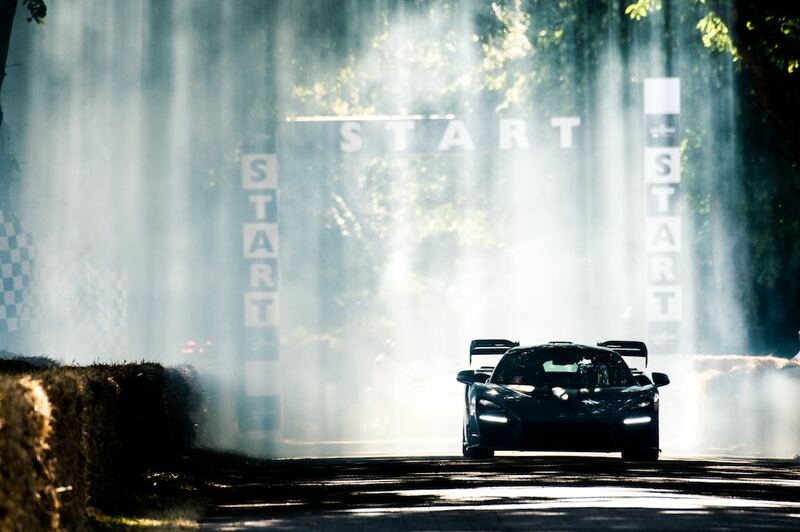 Similar to 2009, 2010, 2011, 2012, 2013, 2014, 2015, 2016 and 2017, Sports Car Digest also documented the Goodwood Festival of Speed 2018, with the following images that capture the spirit of the “largest motoring garden party in the world”. And was the photo of the white XK 120 thrown in as an afterthought to appease those who thought they were about see a gallery of real cars ? I agree with you Michael, disappointing to not see photos of a wider sample of the cars present ! With the huge wide “slick” tires and large diameter…the drivers still want the “wings” added. ?..so basically there is skill left to the driver..Speed around the track is not really important. In say 1962 the F1 cars had narrow normal tires and it did take skill to drive them then year by year were larger diameter and wider. I like to watch at Silverstone drivers at times in opposite lock. I used to drive in Rallies at racing speeds in the early 60’s. What a dreadful bunch of photos, the man clearly does not like good cars ! !